There are two things people know about “AOGs.” They come with little notice and a lot of emotion. For Omar Zambrano, they also come with a huge rush of adrenaline. “I just love moving engines,” he says without a flinch as another wide-body screams over his Doral office where he serves as GM of Operations for Prime Air & Ocean Cargo. Working right under the approach to MIA, it’s not the loud aircraft that give Zambrano a thrill, rather it’s the quiet ones – the “Aircraft On Ground” that’s stranded on a ramp a continent away, or the AOG at a Costa Rican overhaul center waiting for a new engine to arrive. Airline operators however, look at AOGs with an entirely different set of emotions – like anxiety and impatience. That’s because they usually come with great cost. Zambrano explains that any failure in providing spare parts for an aircraft can lead to a situation called “Aircraft On Ground,” a term that indicates a problem is serious enough to prevent an aircraft from flying. “Generally, to get the aircraft back into service, the airline needs to provide the part immediately, otherwise it will lose its profit – and perhaps even its reputation.” In fact, in operational costs alone, including passenger, crew, ground services, and catering costs, the tab for an AOG can be as much $25,000 per day for the airline. This is where Prime Air & Ocean Cargo (PAOC) comes in, with a team of highly qualified personnel managing all aspects of the dispatch and delivery of an entire engine or the smallest of parts, door to door. Whether it’s in the middle of the night or for shipment to a remote island, PAOC does its part to ensure fast repair of an aircraft and prompt return to service. But not all AOG are emergencies. Some aircraft are out of service as part of regular maintenance. Even still, a qualified network of AOG professionals is required to ensure safe and reliable transport of crucial replacement parts. “If an overhauled engine doesn’t make it to the waiting aircraft in the allotted time, now you got a serious AOG emergency on your hands,” said Zambrano. Consider this real-life scenario Zambrano experienced recently with a new client, a vice president of a U.S.-based company that performs major work for airlines and other clients from around the world. He heard that PAOC is a top provider of AOG service. With years of experience with customers like Aerolineas Argentinas and TAME, he figured he could entrust PAOC with a CFM56-3 engine he needed shipped to Costa Rica for one of his company’s biggest customers. The initial inquiry came in to Zambrano’s Doral office just after noon on a Tuesday. The client wanted a quote to transport an engine from AeroThrust at MIA to SJO by the weekend. E-mails shot back and forth well into the night, with final negotiations between 2 and 3 a.m.
Jet engines and electronic aircraft components are highly sensitive and complex items that simply cannot be handled by just anyone. Everything has to be perfect. But with a global network of AOG specialists, expertly coordinated by Zambrano from his Doral-base of operations, word of PAOC achieving perfection is now being thrust around the world. With offices and warehouse facilities in Miami, New York, and Los Angeles, Prime Air & Ocean Cargo (PAOC) has a unique ability to streamline, optimize, and expedite freight to and from points all across the globe for a wide range of major industries – with creative, smart logistics solutions. For information, call 305-592-2044 or visit www.primeaircargo.com. With those few words, I realized he was describing the very thing that has forged our own company’s reputation since starting operations in Quito 18 years ago. Prime Group knows how to do hard things well. Period. Our reputation for providing best-in-class service here is also why we’re the go-to GSSA for the biggest names in air cargo, like Atlas Air and Emirates SkyCargo. And now we’re seeing a clear sign that success breeds success: the combination of top-quality airlines and Prime Group’s unmatched brand of service is playing a significant role in the success of the overall cargo operation at Quito airport. At this year’s Air Cargo Excellence Awards (ACE), presented by Air Cargo World magazine, Mariscal Sucre International Airport was recognized with the prestigious Diamond Award. The award considers the performance, facilities, and value delivered – through the eyes of freight forwarders, cargo agents, and third-party logistics providers. In all these areas, Quito has achieved the highest grades for excellence among airports handling under 400,000 tonnes annually. To me, this affirms the notion that no matter where we operate, Prime Group companies continually excel, improve, and set new standards. Of course there are many factors that play a part in Quito’s excellence, but certainly we have left an indelible and positive mark on the overall operation – and continue to do so every day here. So on behalf of our dedicated team of flight dispatchers, administrative and accounting agents, operations and traffic supervisors and agents, and sales representatives in Quito, we congratulate Mariscal Sucre International Airport on this well deserved honor. And we humbly promise to continue to do our part to ensure that together we may celebrate this important honor year after year, long into the future. Lastly, allow me also to congratulate one of our most important customers, Emirates SkyCargo, for winning the ACE Diamond Award as the top carrier for 2019 in the airline competition. It seems the world is catching on to the power of the pitahaya. Also known as the dragon fruit, this delicious tropical superfood from Ecuador is now growing in popularity from Hong Kong to the U.S. and many points between. And that’s a good thing for Prime Group. Because as the market’s appetite grows, two of its divisions stand to benefit most: PrimeAir as the GSSA for air carriers transporting the product worldwide; and Prime Fresh Handling (PHF) as the agent that takes care of such sensitive perishables on the ground. In fact, it was the PFH team at LAX that was ready and waiting when the first-ever U.S. import of organic pitahaya was accepted here last month. Leading up to this historic flight, the Ecuadorean Ministry of Agriculture and Livestock worked long and hard with in-country fruit producers dedicated to this crop. And it is now paying off as the agency recently announced that dozens of international markets are currently open for the export of organic dragon fruit – spanning China, North America, Southeast Asia, Russia, and 28 countries of the European Community. The Ecuadorean pitahaya is the most highly sought variety not just because it’s so plump and enticing, with hardy yellow skin and unique seed-speckled flesh, but because it can do a lot for your health, too. In fact, benefits include anti-aging, immune system boosting, and sugar stabilization. And pitahaya tastes great too, like a mix between a kiwi and pear with a slight crunchiness. The seeds to success in being selected to handle Ecuador’s first inbound shipment of organic pitahaya actually were planted over a year ago, says PFH’s Commercial Manager Cristina Moscoso. That’s when she and her team launched a big commercial push to grow the division’s U.S. West Coast presence. This move was timed to follow an expansion of the PFH facility at LAX, which now features more than 21,000-square-feet of cooler and freezer space for product staging and storage. “We obviously know a lot about handling fresh flowers, our core business. But lately, we’ve made impressive strides into serving clients who deal in other perishables, such as fish and produce,” said Moscoso. With PFH facilities also in Bogota, Quito, Miami, New York, Amsterdam, the division offers a complete menu of logistics services from crating and packaging, to cold storage and inventory services – even document processing and customs clearance. Not only is the pitahaya good for you and good for business, it’s amazingly well timed. Just as the annual flower season cycles down, dragon fruit is ready to fill the open capacity out of Quito. It’s where produce meets productivity. 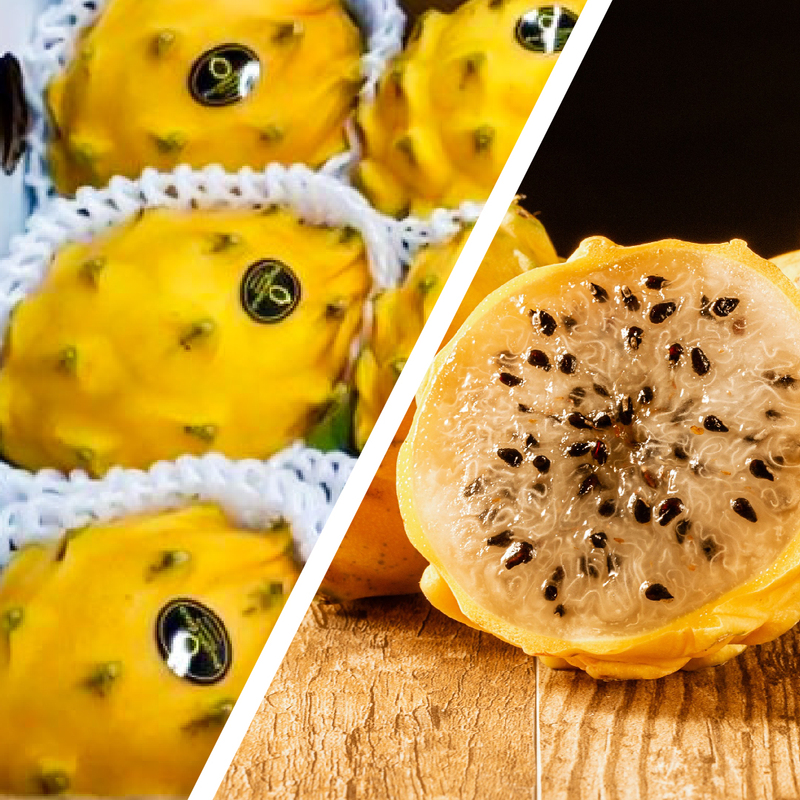 “March was always the low point of the year in terms of kilos handled, but now, due especially to the pitahaya, the number of shipments and tonnes of fruit has been on a major upswing,” says Prime Group CEO Roger Paredes. In fact, this year they didn’t really feel the low season at all following Russian Women’s Day, the traditional end of the busy flower season. Paredes also notes that while dragon fruit demand is high all across the world, the majority of output right now is going to China, via connecting Emirates SkyCargo flights from Quito. “We are all hopeful this will be more than just a ‘year of the dragon,’” he quipped. For more information, visit primefresh.eu or email Commercial Manager Cristina Moscoso at Cristina.Moscoso@primeair.aero. 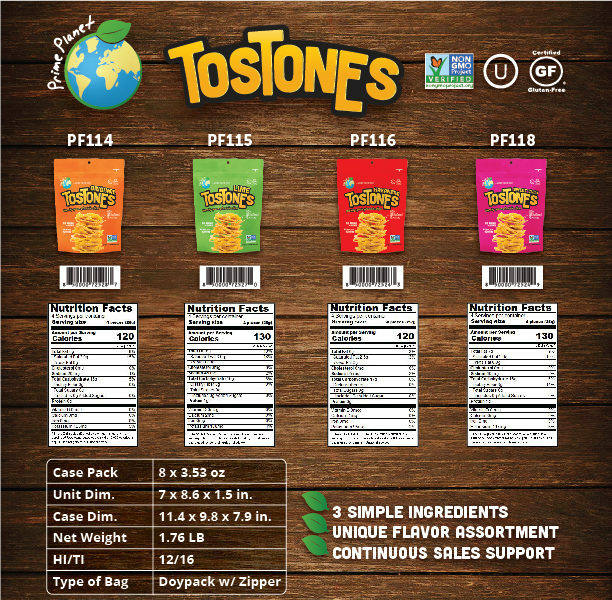 Prime Fresh Products is taking its new and improved Prime Planet Tostones on the road – most recently to the ECRM Snack Food Show in Las Vegas, where it quickly became a big winner. U.S.-based Efficient Collaborative Retail Marketing Company, or ECRM for short, brings efficiencies to the buying and selling process by optimizing product assortments and enhancing supplier-buyer collaboration.The show at Bally’s Las Vegas Hotel & Casino, Feb. 19 – 21, focused on presenting new snack items and promotional opportunities to buyers from across all retail channels. It was here that Prime Planet, the tropical better-for-you snack line of Prime Fresh Products, had an opportunity to meet with big buyers such as CVS, Walgreens, BJ’S, 7-Eleven, Kmart, Burlington’s, and many others. It was also here that the company’s crunchy green plantain chips became, in the parlance of the Las Vegas scene, an odds-on favorite. According to Marcia Tipiana, Operations Coordinator for Doral-based Prime Fresh Products, the three-day conference netted meetings with more than 50 retailers. In the months leading up to this show, consumer response to Prime Planet Tostones at grocery stores in South Florida had gotten so strong that it became clear the time had come to expand product reach nationwide, beyond just the Latino market. “But to do so, we had to change our packaging in a way that it would look more mainstream American. We also tinkered with the recipe by reducing sodium and making it more nutritious,” said Tipiana. They also invested in the process of obtaining a wide range of special certifications in order to market the chips as Kosher, cooked in better oils, gluten free, and non-GMO. With those exciting new changes in place it was time to head West, to talk with directly with national U.S. buyers in Las Vegas – and to realize they had a big winner on their hands. “When it came down to it, buyers tended to like our chips more than other similar snacks at the show because they are heartier and more crunchy than standard plantain chips. Everyone was impressed,” she added. The strategic planning meeting with Prime Planet’s existing Publix rep during the show was especially promising. Up to this point, they were marketing and positioning Prime Planet Tostones solely in their stores’ ethnic food sections. This shift, she says, opens the door to a bigger base of Publix customers and distribution across their entire system, not just in Latino-centric South Florida markets. More stores and higher visibility means increased volume. Change is good! For sales and distribution to succeed elsewhere across the country, particularly in the Northern U.S. markets, the challenge will be to market the chips in a way to get consumers to try something they’ve never even heard of. “But, we have found that once a new consumer digs into a bag of our Tostones, they absolutely love them,” she said. A marketing and advertising plan is now in the works to broaden the appeal of Prime Planet snacks across the board. Another recent change with the product is the launch of new flavors. Today, the line includes the Original chip, Lime, Habanero, Yuca, Pinton, and Sweet Chili. Prime Fresh Products launched its better-for-you Tostones in 2019, to meet the growing trend among nutrition-conscious consumers who want to lead a wellness-oriented lifestyle. As a newly accepted member of the World Cargo Alliance, I am pleased to report Prime Group made its long-awaited debut at the annual WCA Global Conference in Singapore last month, alongside 2,800 other delegates from 100 countries. With record-breaking attendance, it was our time to be there, to be seen, and to experience first-hand what it means to be a member of this prodigious organization – the most powerful network of independent freight forwarders with over 7,000 members in nearly 200 countries worldwide. 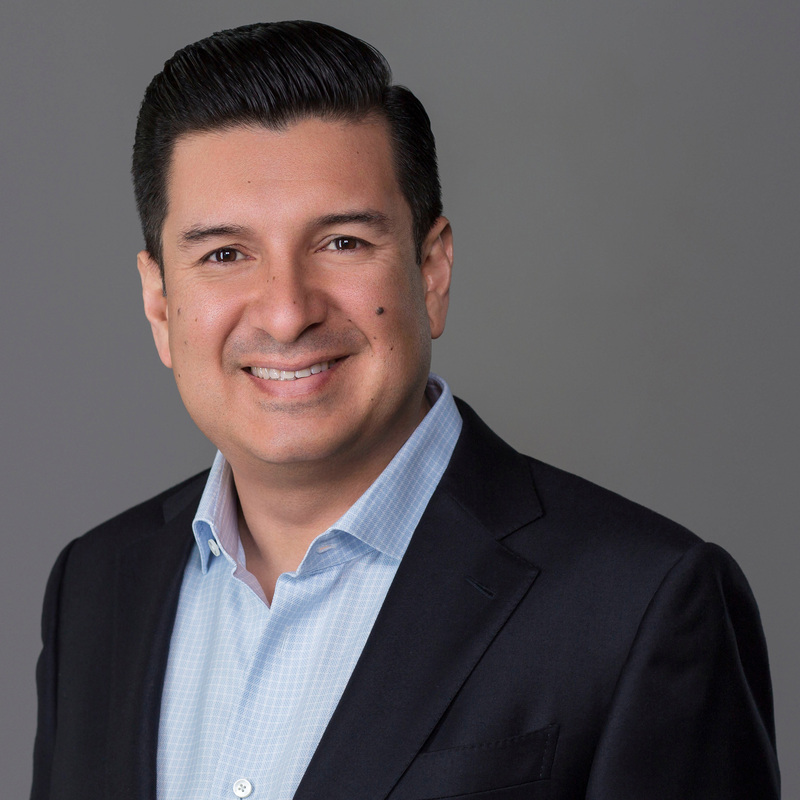 The journey to Singapore has been a long one – and not just because my business partner Omar Zambrano had to endure a 17-hour flight to get there. But because acceptance into this renowned alliance signifies a major step forward in the evolution of Prime Group. Networking among thousands of contacts under one roof is definitely a big plus. In fact, they say more than 75,000 face-to-face meetings between WCA participants took place at the Suntec Singapore Convention and Exhibition Center. But the overarching benefit is the ability for Prime Group to now begin conducting business on behalf of our customers, virtually anywhere in the world on-demand, in partnership with any of the thousands of pre-qualified WCA member companies – and with complete security and peace of mind. Traditionally, growing a company of our size can be a challenge, due to the difficulty in attracting large-scale customers like Toyota, Mercedes Benz, and Walmart that typically work only with the world’s biggest names in the global logistics. Being in the WCA, however, immediately enhances our company profile by putting us in a league with these big players in the business. Now we can effectively meet the needs of any major multinational customer with great assurance by tapping into the experience and professional know-how of our fellow WCA members. We are everywhere! The journey actually started about 18 months ago when we realized that in order to compete for “next-level” customers, we had to get prepared. The big commercial push by PrimeAir and Prime Air & Ocean Cargo in particular, started by conducting a head-to-toe review and realignment of our operations – all geared toward changing the mind-set of the entire company. The exciting steps we took to get here – expanding our base of operations, increasing warehousing and office facilities, instituting new processes to make us more agile and efficient, and re-addressing staffing levels and responsibilities – are now allowing us to expand our customer base all across the globe. Improving our corporate fitness has been a massive endeavor to say the least – and now we’re ready to take on the world, so to speak. Joining WCA is just one outward sign of our long-term commitment to empower Prime Group to better serve our customers today and well into the future. It’s an exciting time in the evolution of Prime Group. We’re glad to have you with us. As one of the most familiar players in the ever-expanding Latin American air-cargo logistics market, PrimeAir has once again been called on to assist a major international carrier grow its presence here. 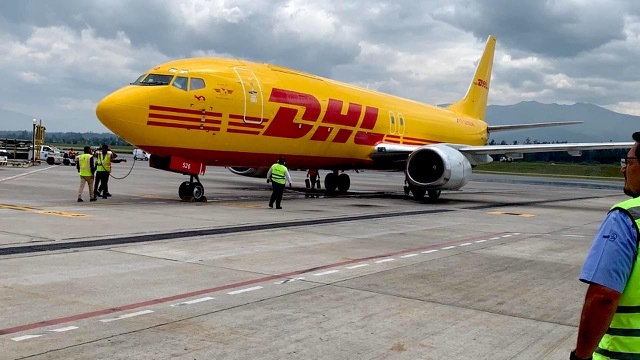 On March 11, DHL Aero Expreso (DAE), a division of DHL Aviation, launched a six-day-a-week rotation of service connecting Quito with Lima and the carrier’s hub in Panama, for both exports and imports from around the world. Operating a B737-400 aircraft with a capacity of more than 20 tons per flight, DHL appointed PrimeAir as its General Handling Agent (GHA) at Mariscal Sucre International Airport (UIO). According to Elizabeth Suarez, PrimeAir’s General Manager for Ecuador and Colombia, the company will be responsible for all ground operations for DHL and vendor coordination. DHL Express, the world leader in logistics with 35 years of experience in the Ecuadorian market and 50 years globally, presents Ecuador with this new flight from Quito to, basically, the rest of the world as part of its expansion plans and continuous investment in international logistics service. At first, imports to Quito will be handled by DHL from about 25 countries such as the U.S., Canada, Mexico, and Puerto Rico, and as far away as Australia, Japan, Indonesia, and Singapore, to name a few. Due to the expanded capacity, the advantages of this new flight include: The option of sending pieces up to 300 kilograms, a boost in packet collection scheduling, and greater availability of space and time for preparation for exports. This new flight, once a day, Mondays through Saturdays, is complemented with the rest of DHL Express Ecuador services, such as special solutions for electronic stores, real-time tracking system, and more. Since 2001, PrimeAir has been providing the best GSSA services in Latin America for the biggest players in the air cargo industry such as Atlas Air, Polar Air Cargo, and Emirates SkyCargo – making cargo services, operations, handling, and accounting easy and reliable for airlines working across the globe. In fact, in recent months, PrimeAir has further enhanced its business relationships with Emirates SkyCargo and Atlas Air. During this same time period, in Quito specifically, the company also has boosted staffing to accommodate a shift in focus from a purely PrimeAir office to a fully diversified Prime Group operation, offering an entire spectrum of brands under one roof. PrimeAir benefits from being part of Miami-based Prime Group, a network of coordinated cargo and freight specialists with offices and representatives worldwide. PrimeAir recently celebrated its second year of direct operations with Atlas Air in Bogota, with six frequencies per week between BOG and MIA. One of the premier carriers in PrimeAir’s portfolio, Atlas Air is not only one of the most important and reliable cargo airlines in the world, it is the company’s longest lasting customer. When Prime Group’s founding company started operations in 2001, the first flight they ever serviced was between Quito and Miami – an Atlas Air 747 freighter, full of flowers, of course. As one of four companies that comprise the Prime Group, today, it is PrimeAir that represents and services Atlas Air’s cargo operation in Colombia and Ecuador. Atlas Air recently coordinated a quick video shoot of their freight operation at Quito’s Mariscal Sucre Airport to capture ramp action that takes place as part of PrimeAir’s role in providing ground operations here. So let’s get on board with what Atlas Air is all about – by starting in the beginning. The word Atlas comes from the Titan god in Greek mythology that bore the sky aloft. He personified the quality of endurance because he carried the heavens upon his shoulders. Flash forward about 2,700 years to the early 1990s, when Atlas Air founder Michael Chowdry saw an opportunity in the air cargo sector and founded his company. He began by leasing freighter aircraft to other airlines on an aircraft-, crew-, maintenance-, and insurance-contract basis (ACMI). Operations began with one aircraft, a Boeing 747-200. Today, Atlas Air is setting higher standards for value and excellence by providing a wide range of long- and short-term cargo and passenger solutions, from shipping precious perishables and heavy construction equipment, to arranging passenger charters for celebrities or dignitaries. Specifically, along its cargo spectrum of services, shippers, freight forwarders, manufacturers, sporting groups, and other organizations rely on Atlas Air to safely, efficiently, and cost-effectively carry their commercial cargo. The demands of globalization require freight and passenger charter solutions from a company with the aircraft, technology, and infrastructure that helps its customers create their own global footprint. Atlas Air has all this and more – including the traffic rights, regulatory expertise, in-country sales, and support and a 24-hour global control center needed to expand their customer operations. For the past several years, Atlas was voted “Leasing Provider of the Year” in an industry survey by the Payload Asia magazine. The survey added Atlas as “Charter Operator of the Year,” as well. In May 2016, Atlas announced a strategic, long-term relationship with Amazon to provide and operate 20 Boeing 767-300 converted freighters in support of the continuing expansion of Amazon’s e-commerce business and the enhancement of its customer delivery capabilities. 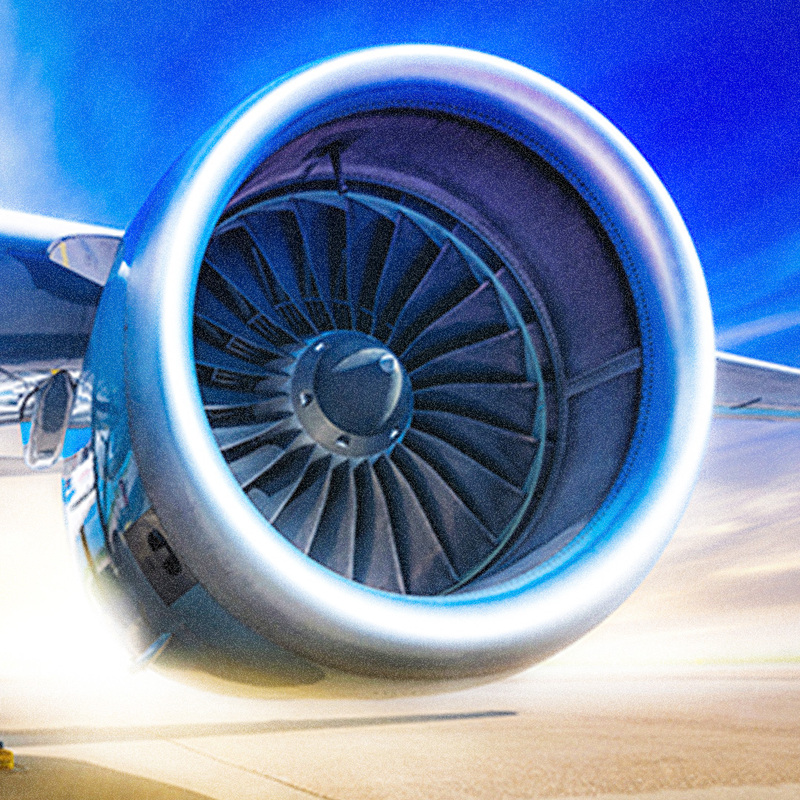 Today, Atlas Air Worldwide is the leading global provider of outsourced aircraft and aviation operating services. They are proud to be the world’s largest operator of B747 freighter aircraft and the only outsource provider of Boeing’s 747-8F. They are also proud to provide customers the broadest array of B747, 777, 767, 757 and 737 freighter and passenger aircraft for domestic, regional, and international ACMI, CMI, charter, and dry lease applications. 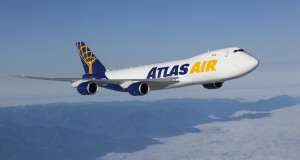 For information about Atlas Air, visit www.atlasair.com e-mail info@atlastair.com, or call or call 914-701-8000. The 2019 peak season for the fresh-cut flower industry is in full bloom. Following another record-breaking year over Valentine’s Day, Prime Group companies are presently enjoying another surge in business in support of International Women’s Day. Massive shipments of fresh-cut flowers of all varieties are now headed to markets all across the globe, with Bogota and Quito being at ground zero. In response, according to Regional Sales Director Jose Luis Suarez, the PrimeAir team is working overtime to keep pace with the demand, while providing the highest quality customer service. During this period, between Feb. 16 and 28, PrimeAir is busy supporting the Ecuadorian and Colombian markets with additional offers to its regular flights to Miami, Amsterdam, and other connections. Likewise, Prime Fresh Handling is busy providing its special brand of logistics support on the ground, leading up to flight time and after. In taking care of things like such as cold storage warehousing and documents processing for time-sensitive perishables, they round off the company’s comprehensive range of service. Many observers attribute this year’s huge spike in demand around International Women’s Day (IWD) to an explosion of women’s activism throughout the world over the past year. It’s fitting, then, that on March 8 the world pauses to celebrate all the achievements of women. And although the day has different meanings in different countries, it also can have deep personal meanings for each individual. One thing remains constant – flowers – the universal symbol of IWD. People from all around the world celebrate by decorating with flower arrangements and delivering flowers to powerful women in their life. The history of IWD stretches back more than 100 years, when the day was first observed across Europe and America. But it wasn’t until March 8, 1946, that feminists in Italy chose the mimosa flower as a symbol of strength, sensibility, and sensitivity. Over the years, women and men alike have continued to give the gift of flowers to show their appreciation for the strong women in their lives. And although the mimosa continues to have a special significance, it’s not the only flower given out. In Italy, yellow mimosas are popular. Russians give a variety of flowers, including red roses. And in Hanoi, it’s not just boyfriends and husbands sending flowers to the women in their lives, but also bosses and colleagues. IWD in many countries has the equivalent status of Mother’s Day and children also give small presents to their mothers and grandmothers. All told, over Valentine’s Day and Women’s Day, 20 million flowers from Colombia and Ecuador will have been cut, gathered, and shipped with carriers that PrimeAir supports, says Suarez. And apparently there’s no rest for the weary. Since 2001, PrimeAir has been providing GSSA services in Latin America to the biggest players in the air cargo industry – such as Atlas Air, Polar Air Cargo, and Emirates SkyCargo, to name a few. Closely supervising the action on the ground in Ecuador and Colombia is PrimeAir’s team, with decades of experience handling the perishables that make up a significant portion of the market. Benefitting from being part of the Prime Group network of coordinated cargo and freight specialists around the world, PrimeAir is dedicated to making cargo services, operations, handling, and accounting easy and reliable for major international carriers. Big or small – whether it be a box, a pallet, or a companywide logistics operation – Prime Fresh Handling (PFH) strives to be a strategic ally for its clients by taking care of all their logistics needs – from start to finish – in order to achieve safe and fresh delivery of perishable goods to their final destination. At Prime Fresh Handling’s warehouses and handling facilities they offer a complete menu of logistics services from creating and packaging, and cold storage and inventory services, to document processing and customs clearance. Based in Miami, PFH has offices in Bogota, Quito, Los Angeles, New York, and Amsterdam – all key gateways for the fresh-cut flower industry. For information about PrimeAir, Prime Fresh Handling, and the entire family of Prime Group companies, visit www.primegroup.aero. Also, feel free to directly contact Regional Sales Director Jose Luis Suarez in Quito via email at joseluis.suarez@primeair.aero, or call his cell at (593-9) 9 555-3195 or the main office at (593-2) 281-8055, ext. 1006. 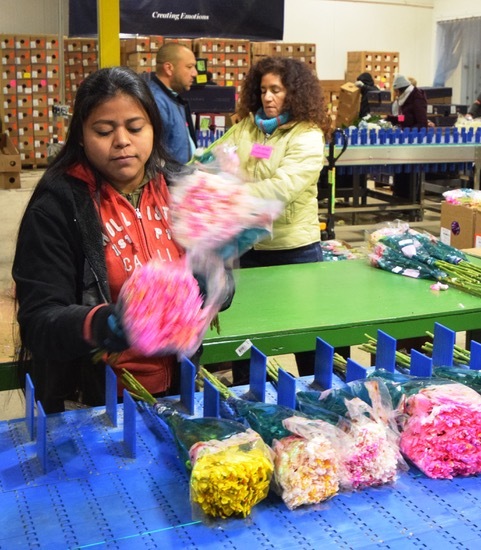 Valentine’s Day and International Women’s Day are back-to-back events that account for the shipment of massive volumes of fresh-but flowers from Colombia and Ecuador. Let’s find out how PrimeAir and Prime Fresh Handling make it through this highly intense period. We caught up with Regional Sales Director Jose Luis Suarez to share with us what the company does in South America to keep pace with the demand, while providing the highest quality customer service during the peak season for the flower industry. Q. How do PrimeAir and Prime Fresh Handling support the flower industry during this peak time? Answer: In the high seasons, PrimeAir has always been characterized by supporting the Ecuadorian and Colombian markets with additional offers to its regular flights to Miami, Amsterdam, and other connections – this year will certainly be no exception. Now, we have Prime Fresh Handling that makes our overall service integral, because we not only offer departures from Bogota or Quito but we also provide support at the destination, making our service even more attractive. Q. What is the peak period for the transport of flowers from South America? Answer: Typically, the Valentine’s Day period ends around Feb. 8 at then we move into the Women’s Day peak, Feb. 16-28. After that, we get a break until Mother’s Day, May 12, which means we are super busy again the last week of April through May 4. Between the Valentine’s and Women’s Day back-to-back period, we have basically one week to recover, get some sleep, and get busy again. But not everything is a dream, as we have our regular flights that need to be attended to. In a new twist, over the past couple years, customers have started moving their shipments to go out just prior to the peak periods in order to get better flower prices. Q. What is the volume of shipments over this peak period? Answer: It’s a moving target, but I would say that around 20 million flowers from Colombia and Ecuador are planned be cut, gathered, and shipped with us during the Valentine’s Day and Women’s Day season. Q. What’s the journey a flower makes from field to florists? Answer: The clock starts ticking with the snip of a stem at the farm. To get flowers to their destination, the supply flow then starts as flowers are placed immediately in a refrigerated truck for transport to a cool warehouse at the airport. Here, they go through a process we call “pre-cooling,” in which any warm air that might be trapped in the box is vacuumed out. After that important step, the blossoms travel through the center of the U.S. flower distribution system: Miami International Airport, while others head off to Amsterdam. Both airports see huge spikes in volume between Valentine’s Day and Mother’s Day. Once there, they are inspected to ensure the flora is free from harmful pests and diseases. This process can take up to four hours. But after they get a green light, they get another pre-cooling and are release to a local warehouse, where shipments are broken down and shipped off to an international location or placed on refrigerated trucks for domestic distribution. Retailers are the final link in the cut-flowers supply chain before the flower reach your sweetheart and/or loving mother’s hands. Q. Other than managing air transport of flowers, do you provide other logistics services for the industry, such as shipping of bulbs or flower seeds? Answer: Yes, we ship bulbs and seeds – and because they too are delicate perishables, they need a temperature regime and cooling systems when being transported. Q. Do fresh flowers need to be packed in specific ways? Vertically or horizontally, with or without water? Answer: It depends on the type of flower that is being transported. There are some varieties that are shipped with water like the gladiolus that must be transported vertically and with a support of water. In the case of regular fresh-cut flowers such as gypsophila, roses, etc., they are transported in corrugated cartons with enough ventilation so that moisture can get out and, of course, so the flowers can breathe and maintain their freshness. Q.Who are your main customers requiring the use of air transportation for quick shipments of fresh flowers. Answer: Freight forwarders who represent growers are the customers who need to access professional air transport services for highly sensitive perishable fresh flowers – so that they reach their destination looking appealing and fresh. Q. Why is maintaining the cold chain such an important aspect of this process? Answer: This process, known as cold chain shipping, comes into play in order to allow flowers to make it from the field to the customer at lightning speed. Without proper packaging and express shipping, flower life is cut significantly shorter. Appropriate cooling systems and temperature regime are needed to ensure that the flowers remain in good condition. Of course, retailers want to receive cut flowers as soon as possible after harvest to lengthen vase life, achieve customer satisfaction, and spur repeat sales. So, temperature-controlled transportation, handling, and storage, makes longer supply chains possible, but the time limit still maxes out at about 12 days. Q. Describe the logistics and sales teams as well as the facilities in both BOG and UIO. Answer: Each team consists of experienced professionals, highly specialized in their specific function, starting with tailor-made quotes, going through reservations consistent with the clients’ needs, and finally maintaining high-quality transport. All this is based on our premise: to always provide excellent customer service. In Bogota we have our own office located in the Cargo Terminal of the El Dorado International Airport; and in Quito, the offices in the International Cargo Terminal of the Mariscal Sucre Airport. The PrimeAir family continues growing every year and this makes me proud to be part of a team that is determined to remain at the forefront of the logistics business, which is an increasingly challenging task in this highly competitive market. Q. What is your background with the company and prior to joining the Prime Group? Answer: I am a Commercial Engineer with separate specializations in Business Administration, Marketing, and Foreign Trade – this last one sparked my interest in airside operations. My career in the logistics area began in 2006 with Lufthansa Cargo, before passing through LAN Cargo in 2015. My Master’s Degree from the Tecnológico de Monterrey encouraged me to grow even more. Since 2016, I have had the opportunity to be in charge of the commercial operations of PrimeAir’s South American region. With a specialty in the movement of perishable cargo such as flowers and fruits. My experience also extends to handling very challenging cargo items such as oversized, high-valued, high-risk material.